Inspiration can come at the most surprising times, from a variety of places. An idea takes seed, and in the right conditions, can flourish. What are those conditions? Who is to say? For me, it varies but usually requires a combination of space, time, and heart. Space to tumble around and gain momentum, time to plan and accomplish, and a pull of the heart strings, the reason to pull it together. In this circumstance, it was a visit from an old friend, a trip to the library (alone!) and a rainy school day. The forecast called for comfort. Company meant make ahead. I was thinking a tagine. Browsing the shelves in the cookbook section, I found Plenty More by Yotam Ottolenghi. His photos alone can inspire even the most listless chef. Honey Roasted Carrots with Tahini yogurt looked divine. I thought the menu was planned. But, as it often does here in Texas, the weather shifted. So a tagine became grilled chicken with lemon and herbs, the carrots remained. 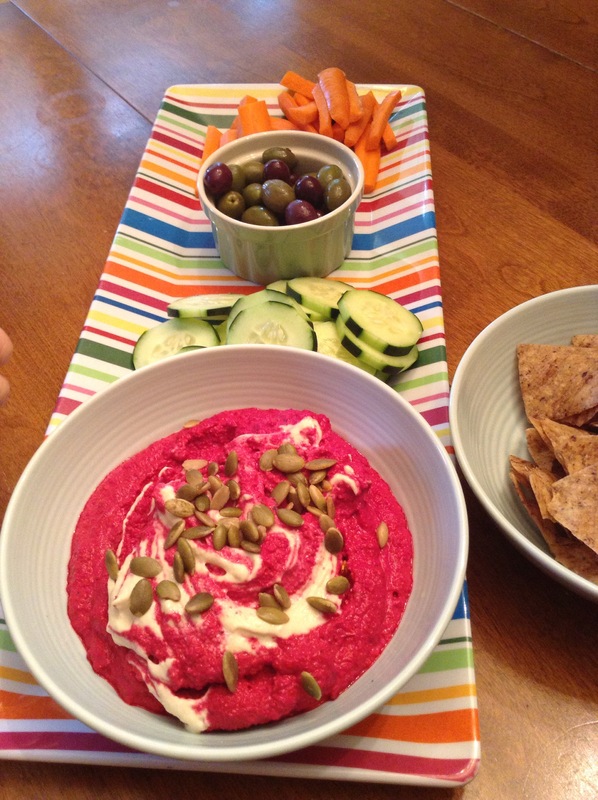 A starter of beet hummus and a salad with frisee, pumpkin seeds, and dried cherries. We had bubbles to celebrate my WSET Level 2, Armadillo’s Leap Viognier/Roussane blend and Pala I fiori Vermentino with dinner. 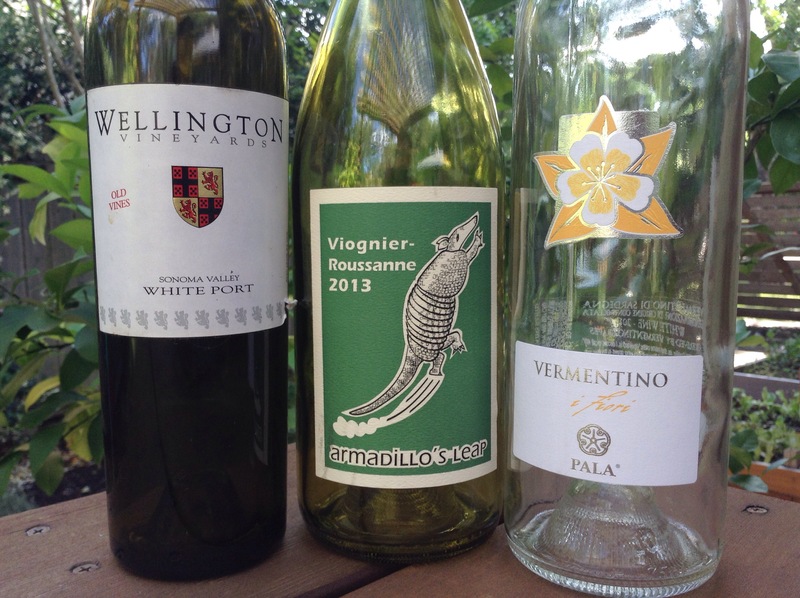 The Vermentino was fun, crisp, citrus and green with interesting savory notes (mustard seed?) on the finish. But there was one more idea I couldn’t get out of my head. Rosewater Panna Cotta on Raspberry compote with Pistachio brittle. Without question, it was the highlight of the meal. Maybe it was the wine we’d already opened or maybe Bacchus whispered, but I remembered a bottle we’d held for nearly a decade. 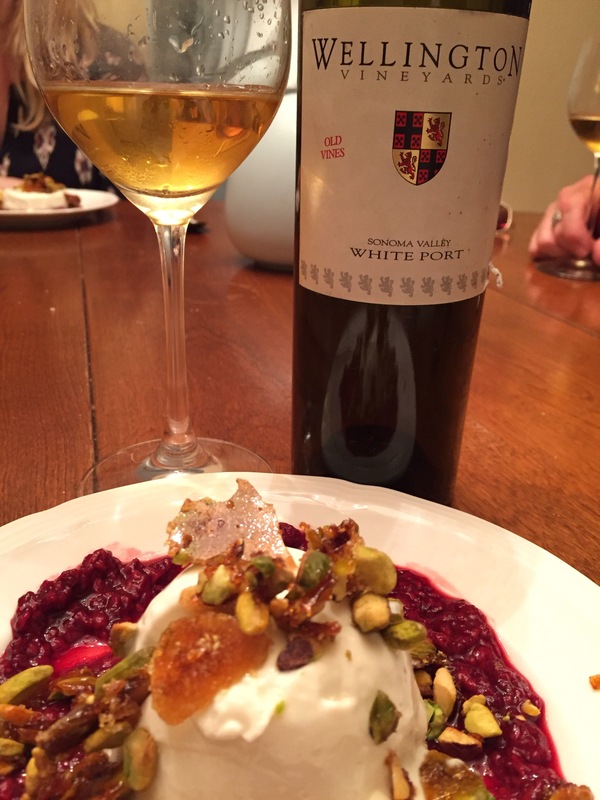 Wellington Vineyards Sonoma Valley White Port. It. Was. Perfect. Giddy good. Smiling the next day good. Patting myself on the back good. It was good. When Ottolenghi cooks, he pulls inspiration from all over the world. His Israeli heritage, his London home, Tunisian spices, his trips around the world. The elements of our meal had origins equally diverse. Middle Eastern, Greek, Italian. The wines from Sardinia, Sonoma, Texas. Herbs from our garden, guests from California. Sometimes inspiration comes from variety of places, in a most surprising way. But when you are sharing a meal with people you love, everyone can flourish. Here, there, and everywhere. Warm 1 cup heavy cream and dissolve 2 tbsps. of sugar in cream. Pour both in a bowl. Pour in ramekins to chill. Cook down one bag frozen raspberries with 1/3 cup water, Tbsp sugar until thicker consistency. Cool. Heat 1/8 c sugar until browned and liquid. Add chopped pistachios. Remove from heat to cool. To serve, put raspberries on the plate. Dip ramekins in hot water to loosen the Panna cotta. Invert on plate. Top with pistachio brittle. Your panne cotta recipe looks amazing! I am not a beet fan but I would certainly try this! Great wines too. Thanks! Try another veggie other than beet. Hummus is so versatile.